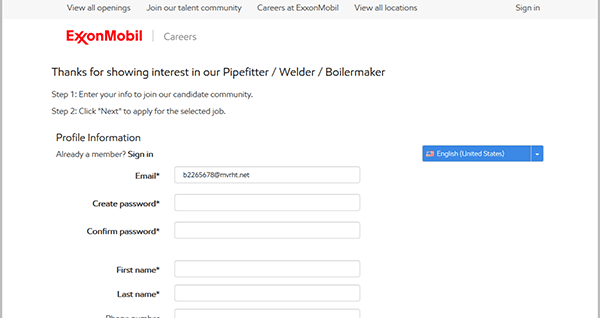 The ExxonMobil job application can be accessed on the company’s careers page (via the links posted on this page). If you need help during the job search/application process refer to the instructions posted in the below section. Numerous career types can be applied for online including corporate, production, retail, and distribution positions. The instructions posted below detail the online hiring process for retail positions. 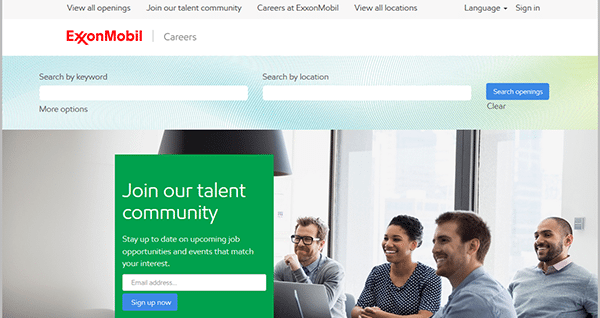 About the Company: ExxonMobil is an American oil & company headquartered out of Irving, Texas. The company is one of the largest in the world, and has corporate offices in numerous countries. 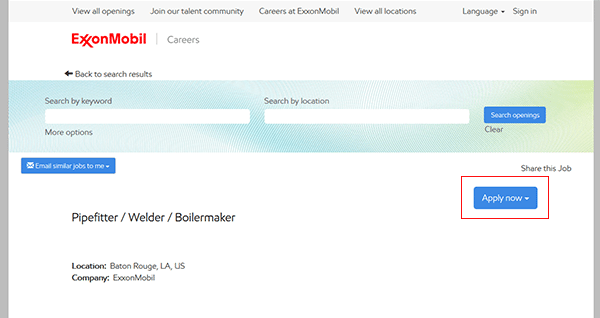 ExxonMobil was founded in 1999 (as a product of a merger between Exxon and Mobil). Step 2 – Enter a keyword or location into the search form and then click the “Search Openings” button to view the results. 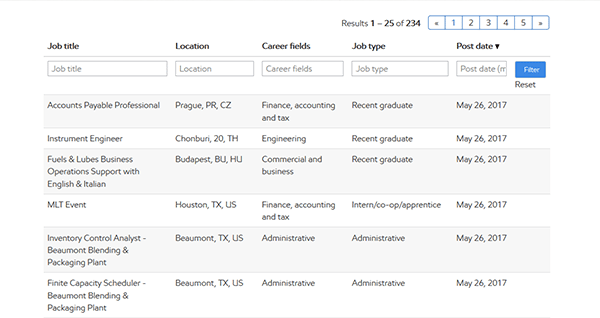 Step 3 – The results can be filtered/sorted by job title, location, career fields, job type, or post date. Click the link of the job that you want to submit an application for. Step 4 – Review the entire job description page, and then click the button as shown in the below screenshot. Fill in your email address to go to the next step. Have you completed bachelor’s degree or higher? Step 6 – Fill in the required information for each section of the form. Note: The online application process/form will differ according to the position that you are applying for.